Entertainment: Get into the entertainment internet world with a joyful website design. The design of this template will make your website stand out as it communicates the entertaining purpose of your project. 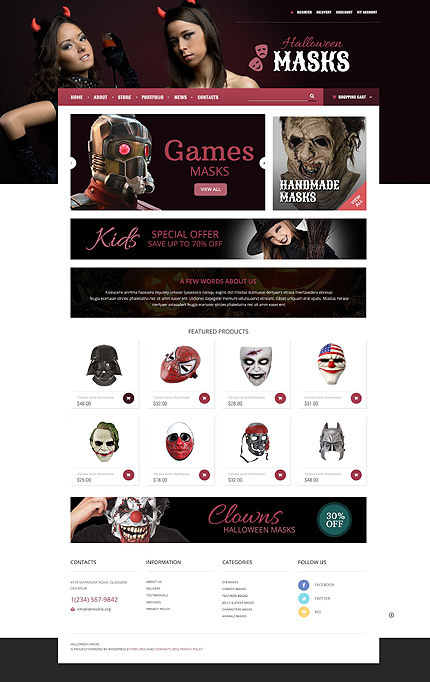 Templates with this characteristic are good choice for projects such as: online casinos, gaming, and kids portals, sports betting websites, sites dedicated to mobile phones stuff and more. Bonus with every purchase With each template purchase you get Free Web Design Elements: photos, fonts, icons, 3d models, sounds. Buy template 55558 from zeronese today and get access to the Free Clipart & Free Web Design Elements library.